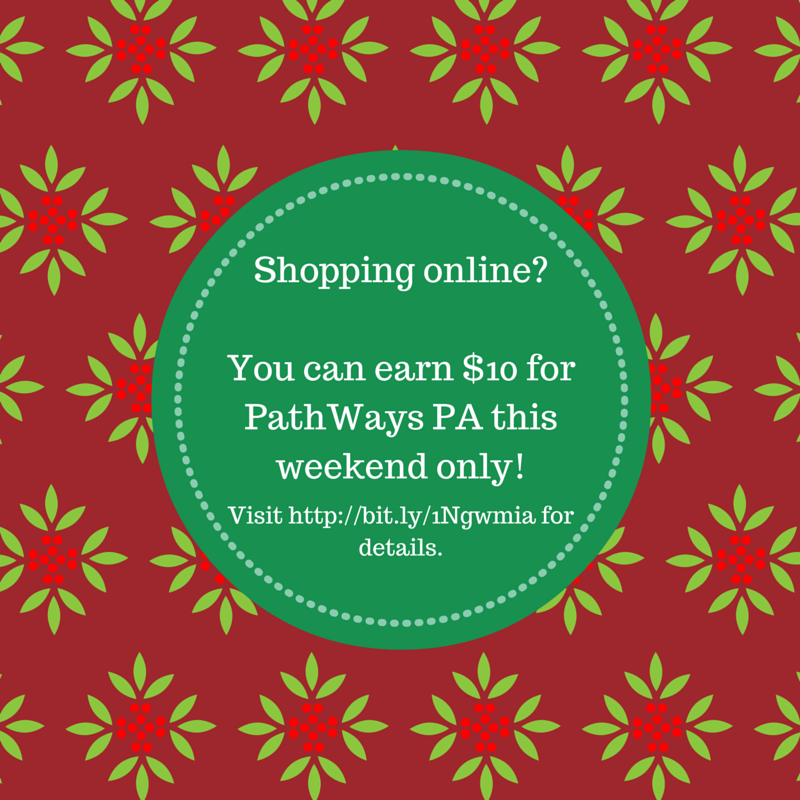 Earn $10 for PathWays PA Right Now! 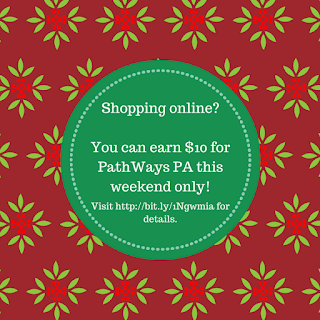 From now until midnight Sunday (Chicago time), new members using our special link earn a $10 bonus for PathWays PA. All you need to do is shop just once (Amazon not included) by January 10, 2016. You must use our special link to join. And you must join before 12:01 a.m., Sunday, Dec. 14, 2015. You must shop at one of our over 1,700 stores (actually buy something, window shopping doesn't count, and neither do purchases at Amazon) by January 10, 2016. There are some great last minute holiday shopping deals at iGive. You can help PathWays PA at the same time as you save time and money. Every purchase you make will help, even after the bonus period ends. 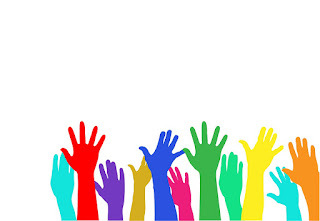 The average iGive shopper is raising over $30 a year, and many are raising $100 or $200 a year, at no cost to your cause or to them.